In this week's 'What's Your Budget' feature we take a look at 5 ceramic kitchen sinks you can buy for less than £275! Posted By Alan, 13th Nov 2017. 5 Minute Read. Kitchen sinks, kitchen basins, call them what you like - we all need them don’t we. Finding them is easy but choosing the perfect one for your kitchen always seems to be a slightly trickier task, but don’t worry, the WYB team are back and this week we’ll be dissecting your options to see which ceramic kitchen sinks you can buy for less than £275. What is a ceramic kitchen sink? Okay, i’m sure we all know what a kitchen sink is, but apart from that thing you wash your dishes in or empty your kettle or sour milk, for many people the kitchen sink is a very practical area which can also create an attractive corner of your kitchen - should you get it right! Ceramic kitchen sinks come in a range of styles and sizes, but unlike standard kitchen sinks which are usually made of stainless steel these basins are made from ceramic. This material makes them strong, durable and easier to clean. 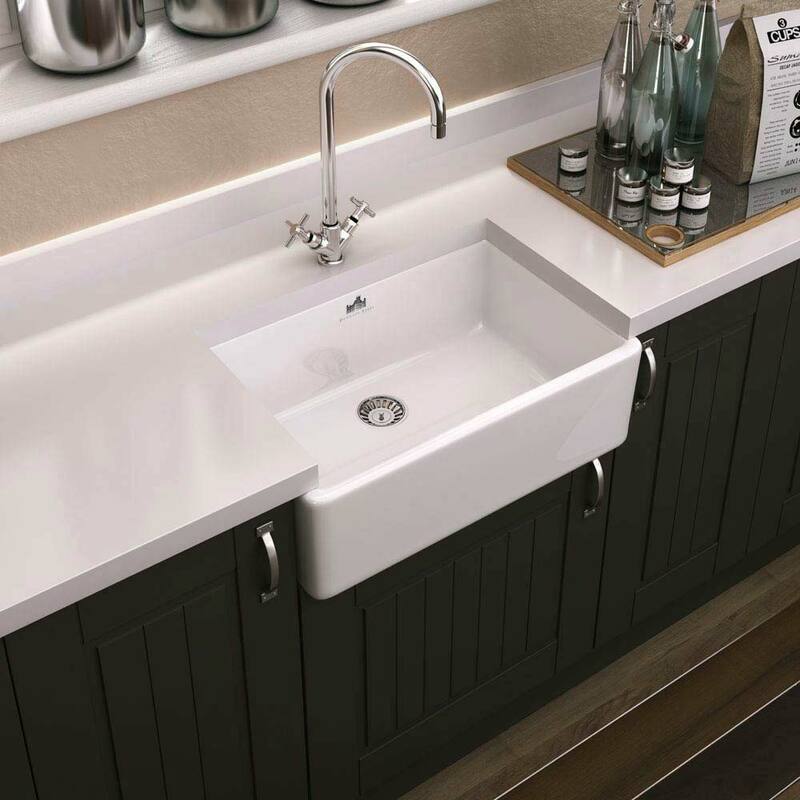 A popular option right now is the butler sink, also known as a belfast sink, which is a deep ceramic basin which also comes in double bowl options or twin sinks. The double bowl option allows for extra practicality and function; such as washing dishes in one side and rinsing dishes in the other. 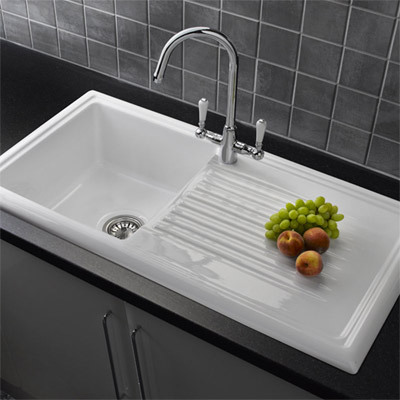 Another function for an added bowl could be for washing things such as fruit and veg if your other sink is in use. 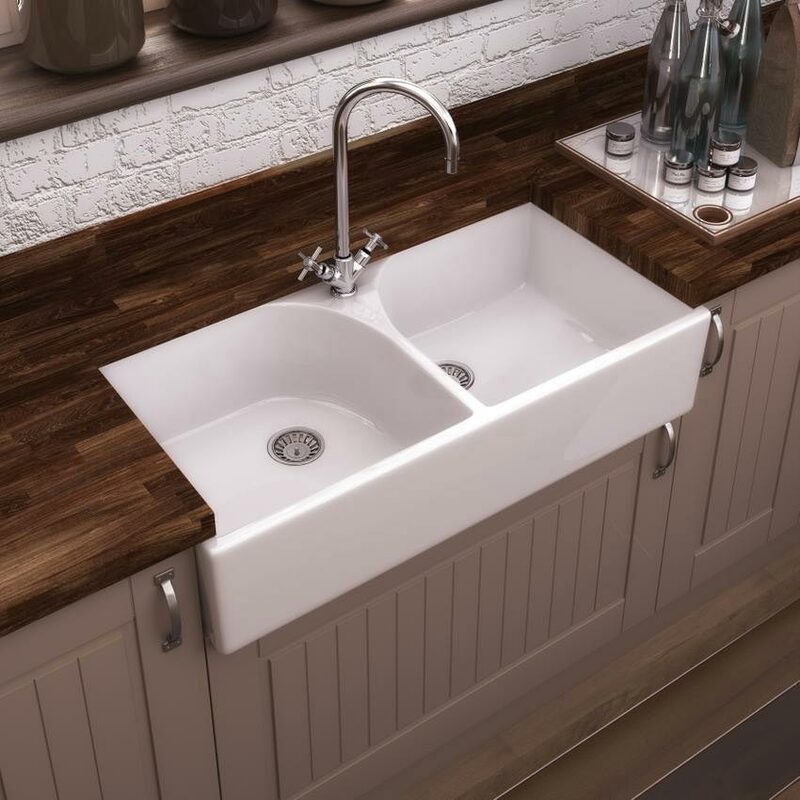 Other kitchen sinks include standard ceramic basins with a drainage board and single bowl ceramic kitchen sinks which can be inset into kitchen worktops or semi-inset which leaves the front of the basin exposed; ideal for farmhouse styles or a rustic look. Buying a ceramic kitchen sink on a budget will obviously restrict you slightly from some of the larger, pricier basins, but if you think you’d be short of choice you’d be happy to hear that isn’t the case. Saving money by doing your research is one way of keeping to a budget, but have you thought about the installation. If you have a very good friend who will help you then definitely give them a call (and be nice), but if you're not so lucky then take a look at our guide for replacing a kitchen sink as you may be able to do it yourself! 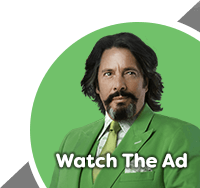 If you’ve read one of our ‘What’s Your Budget’ features before you’ll know that we love finding the best options on a budget. It’s no different when it comes to kitchen sinks so let's take a look at 5 ceramic kitchen sinks under £275! A double bowl butler sink for less than £275 is a rare find. It makes the Premier Athlone a really special pick and one that is definitely worth considering for your kitchen. The two bowls offer you maximum practicality and this design is perfect for a pull out spray kitchen tap to get a super popular and totally resplendent look. This ceramic kitchen sink also comes with a 10 year guarantee for additional peace of mind. What could you buy with the change? 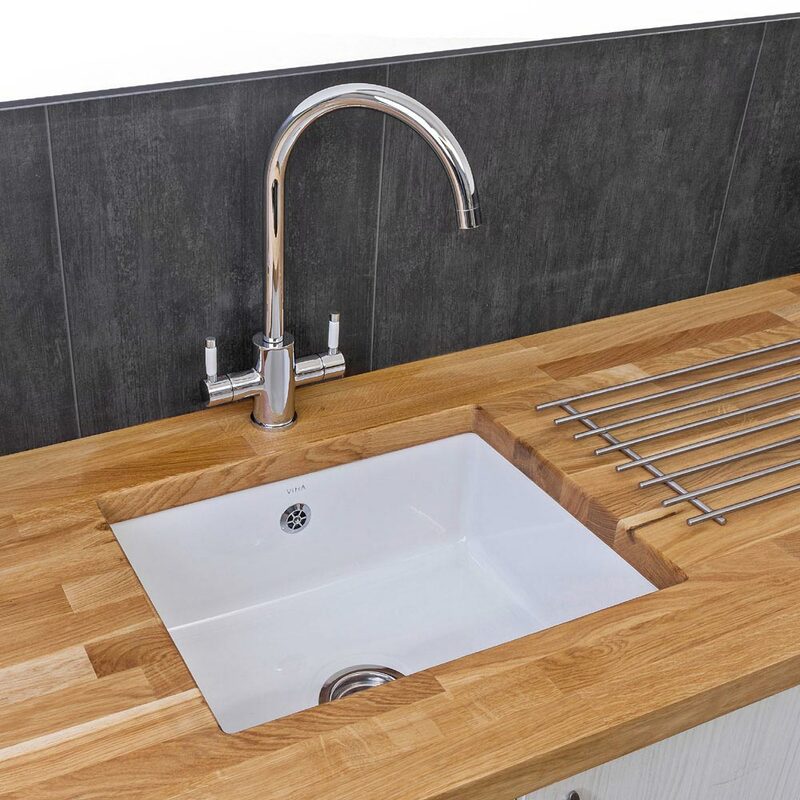 As you’ll need kitchen taps for your new kitchen sink then why not use the change from your budget to put towards the stunning pull out spray kitchen tap? Undermount kitchen sinks like this Reginox Mataro sit neatly beneath the worktop making them highly popular in kitchens where tidiness is particularly valued. Reginox are highly respected in the world of kitchen sinks and this ceramic sink comes with a 10 year guarantee. Filter kitchen taps look great when combined with these options. What could you buy with the change? If you’re looking for something practical to blend with your basin then you’ll love the Reginox wire basket for ceramic sinks. For just a little more than your £25 change from budget, it prevents your china or glasses from coming into contact with the ceramic which reduces the chance of accidents. Downton Abbey products like this butler sink are exclusive to Victorian Plumbing which means they’re perfect for creating a unique and stylish look. These traditional ceramic kitchen sinks are built to last and look fantastic when combined with traditional kitchen taps. The wider design makes it large and practical for a variety of day to day tasks. What could you buy with the change? This beautiful traditional-style butler sink will be perfectly complemented by the Dual-Lever Traditional Kitchen Tap. The change from your budget will almost pay for the tap itself! For a stunning ceramic kitchen sink with total practicality in mind then this 1.5 bowl with drainage board is a brilliant option. Modern and stylish it’ll fit the needs of most family kitchens. It’s strong and durable; fully backed with a 10 year guarantee and it’s reversible meaning you can position whichever way suits your kitchen layout. Combine with modern kitchen taps for the best look. What could you buy with the change? You can buy this ceramic kitchen sink under £200 which means the change from your budget could also buy this matching Reginox Genesis Modern Kitchen Sink Mixer! Simple but stylish, this Reginox white ceramic 1 bowl kitchen sink is perfect for any contemporary kitchen. The drainer is excellent for use as additional worktop space and allowing dishes to dry. 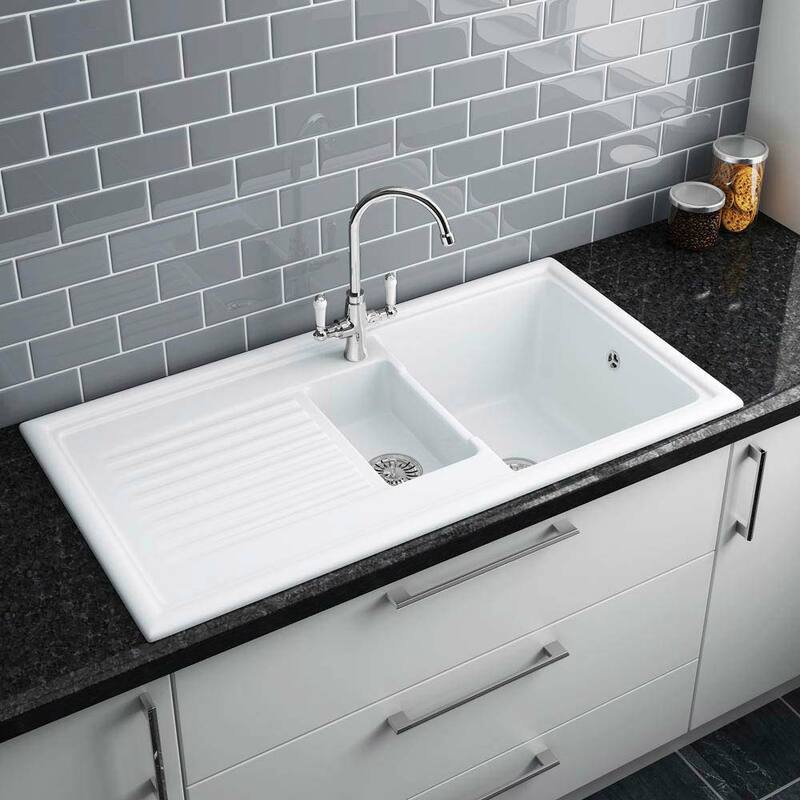 A 10 year guarantee backs the quality build from Reginox and the hard wearing, durable finish and design makes this sink easy to clean and hygienic which is perfect for families. Partner with a monobloc kitchen tap to achieve a designer look. What could you buy with the change? Here’s another ceramic kitchen sink for less than £200. The change from your budget will allow you to buy the Reginox Elbe Traditional Dual Lever Kitchen Tap Mixer which is in the image and still have change! Budget ceramic kitchen sinks aren’t the cheapest kitchen sinks around, but you can certainly find a quality item for less than £275. Prices do vary and can range well over £500 however you’ll certainly have a durable and well made product for a £275 budget. Please ensure you factor in the cost of kitchen taps as these will not come with a ceramic kitchen sink and will certainly be needed to complete your sink, unless you have an old set of taps you’ll be using. There’s nothing wrong with reusing old kitchen taps which you just can't let go of although a new sink will definitely benefit from a brand new tap in most cases. Some kitchen sinks may not come with a drainage board or drainer but you can pick up one of these for less than £100. Here’s a ceramic belfast sink kitchen drainer from Reginox which would complement many kitchen sinks in a wide range of styles. One other thing which is useful to note is that a £275 budget means that no matter the style of sink you want, this budget will allow you to choose any sort of ceramic kitchen sink style which means you’re not at all limited on options. Finally, if you're serious about updating the sink area then you may want to think about the wall area too. A stunning display of kitchen tiles could create the perfect finish. A very popular option right now is the metro tile range. Grey metro tiles and white metro tiles have really dominated through 2016 right through to 2017! If you're in need of some DIY inspiration, why not take a look at our wall tiles section from our 8 Trade Tips For Perfect DIY Tiling blog? We hope you enjoyed reading our latest ‘What’s Your Budget’ feature and found it useful. If you think somebody else may benefit from this guide then please feel free to share it with them using the social buttons provided!